The other day I went to the Keyword Planner in Google Ads. 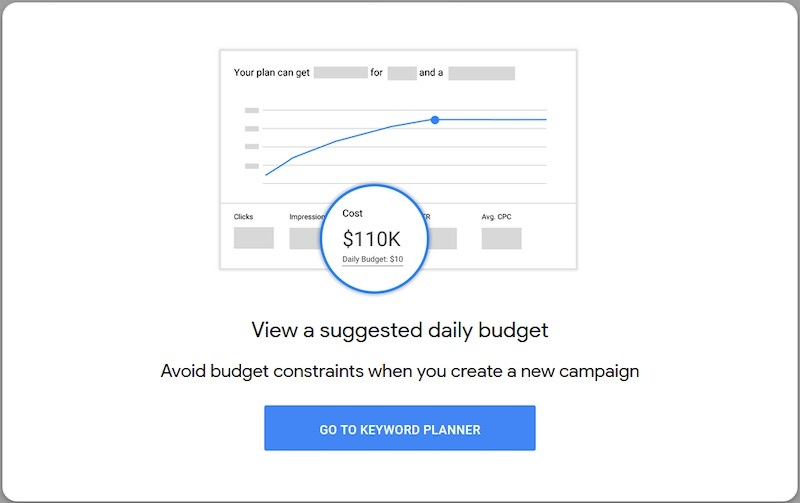 I was greeted by a lightbox message that stated, "A Better Keyword Planner." In this post, I'll offer my take on each feature. This feature was available for years, but Google reduced the number of seed keywords to just three when the tool moved to the new interface. I'm pleased that this feature has returned. A more helpful visual is to see it live in the tool. The chart below is for the keyword phrase "Christmas tree decorations." The view allows you to quickly see that November is the peak month for that phrase, at just under 400,000 searches; December has about 200,000. A helpful upgrade is that the data is downloadable, to pull it into Excel or your analysis tool of choice. The phrase "Christmas tree decorations" has roughly 400,000 searches in November. December has about 200,000. Click image to enlarge. This feature eliminates some of the organizational legwork that's often required for keyword research. By clicking the "Grouped Ideas" tab on the left, you can see your keyword suggestions logically combined. Using "Grouped Ideas," one can see combined keyword suggestions. 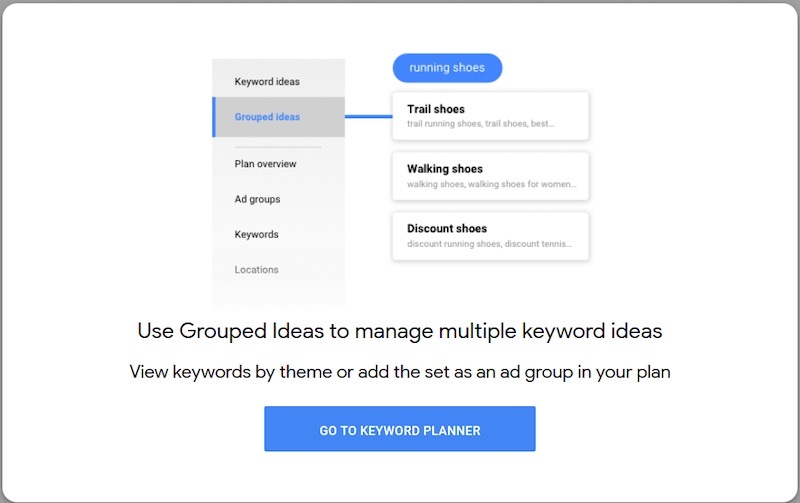 "Grouped Ideas" is similar to a feature in the old interface wherein keywords were consolidated by ad groups. 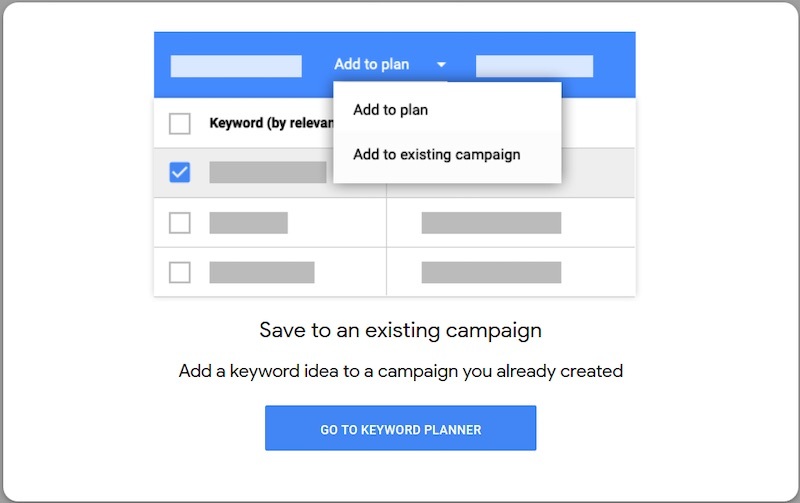 As in the previous interface, these grouped keywords can be added to your plan as a unit or added to an existing campaign, which brings us to our next feature. I'm often in the Keyword Planner to find new words and phrases for existing campaigns — I've noticed a good theme in the search terms report, or I thought of a keyword idea. 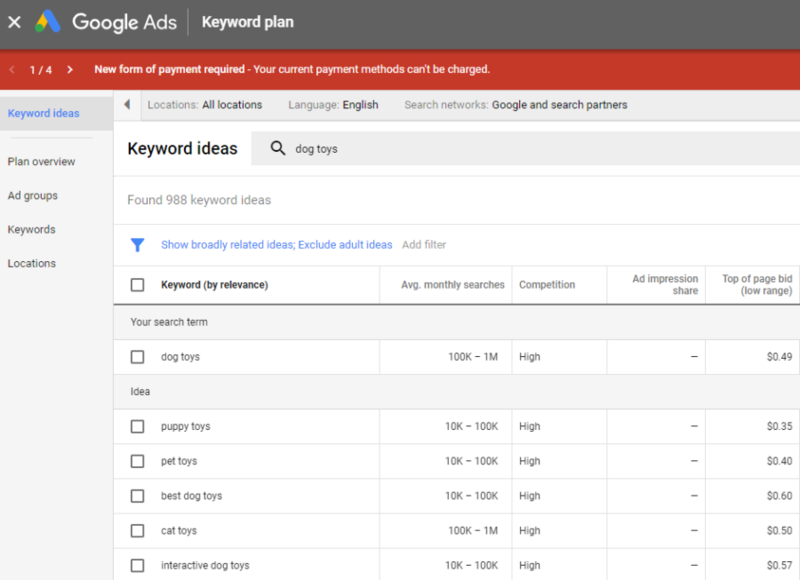 Previously, I had to find the keywords I wanted, add them to my plan, download the plan, and then upload to my campaigns via Google Ads Editor or the web interface. This upgrade streamlines that process. "Add to existing campaign" streamlines the process of attaching keywords. If you're adding to an existing campaign, you'll select attaching to an existing ad group or creating a new one. It's easy and efficient functionality for adding new keywords. To see the budget suggestions though, you'll first need to add keywords or grouped ideas to your plan. Then click on "Plan overview" in the left navigation. Once there, a couple of options aren't immediately obvious, so I've highlighted them in red boxes, below. The tool can estimate the number of clicks or conversions. You can also change the per-click bid amount. In the chart above, going beyond about $1.25 per click doesn't produce new conversions. Thus it's helpful to have a visual on where Google Ads thinks you'll experience diminishing returns. By default, this interface displays the competition column with one of three descriptions: high, medium, or low. While that's generally helpful, there can be a lot of variation in each category. If you click the "Columns" icon and add the "Competition (Indexed value)" column, Google will provide a score from 1 to 100 for how competitive that keyword is. 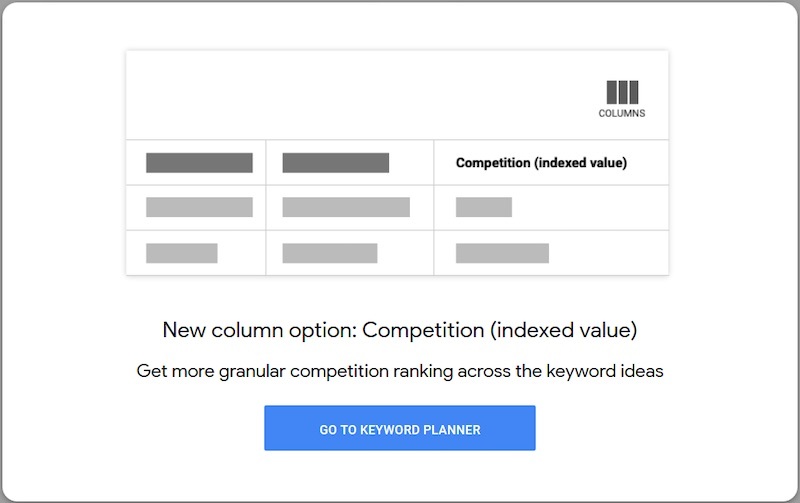 By clicking the "Columns" icon and adding the "Competition (Indexed value)" column, Google will provide a score from 1 to 100 for how competitive a keyword is. The breaks for high, medium, and low do not evenly divide into thirds. However, it is helpful to know that high competition for "Christmas tree decorations" means 100 while high competition for "Christmas tree ideas" is 72. That's a big difference, which most advertisers would intuitively understand — anything with "ideas" in the query is more top-of-the-funnel or discovery focused. But now you can quantify just how large the competitive difference will be. "More seeds," "Grouped ideas," and "Add to campaigns" are reboots from the previous Keyword Planner. I welcome them back, however, as they improve the tool. The other, new features are genuinely helpful. I will use all of them in my daily workflow. So a big thanks to the Google product team. The good (and bad) news is that there's an overwhelming number of keyword research tools these days, and choosing one can be a real pain in the neck. That's why I've decided to narrow down your choice to 5 best FREE keyword research tools that have already proven themselves to be reliable keyword finders in the industry at the moment. By utilizing the software's Autocomplete and Related Searches tools, you can expand your keyword list with tons of long-tails, collect the most popular keywords in your niche, and get priceless insights into search trends. What's more, the tool can also supply you with all possible word combinations and misspelled variants of your keywords. With the help of the software's Keyword Sandbox feature, you can comfortably store, group, filter, or tag your keywords in any way. Rank Tracker can be also used for keyword tracking purposes. So after you've decided on the keywords you want to include in your campaign, you can just move them to Rank Tracking and proceed with checking rankings. The second tool on the list is Google Keyword Planner. It's a free keyword research tool from Google as well as one of the biggest keyword databases out there as well. It works equally well for keyword research and pay-per-click campaigns. What's more, it's only logical to use Google's own tools for conquering Google, isn't it? 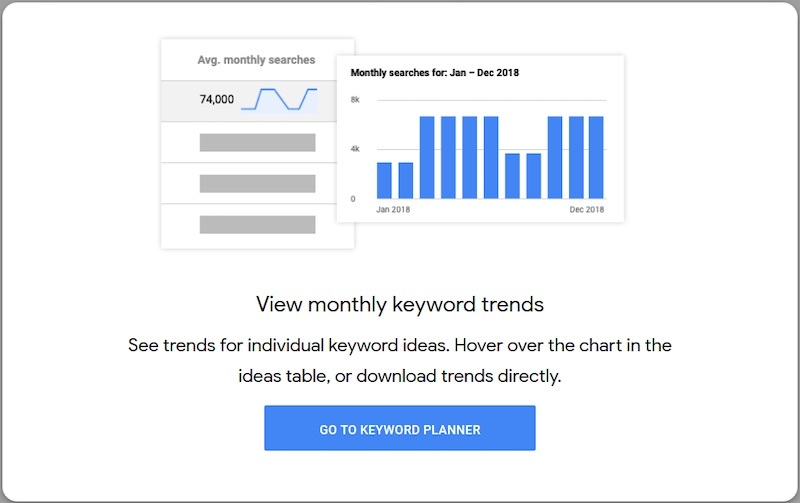 There's also an opportunity to access historical data (12‐month average search volumes) and filter keywords (according to the keyword text, average monthly searches, competition), or exclude the ones you already have. 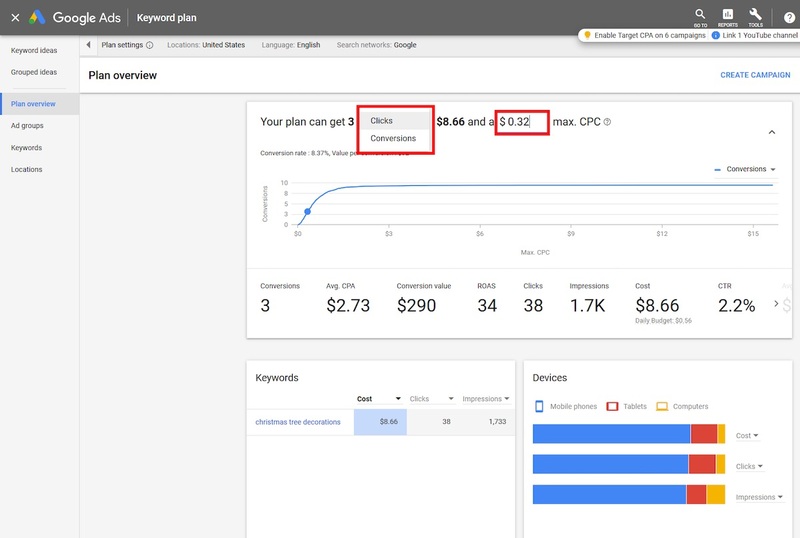 After you've done that and decided on the keywords that you're willing to keep, you can either add them to your advertising plan (if you're about to run a Google Ads campaign) or download a CSV report with all your keywords and stats that go with them. Some users might find the fact that there's no exact search volume data frustrating – you can only see some rough estimates. However, you can access precise numbers if you run a Google Ads campaign. 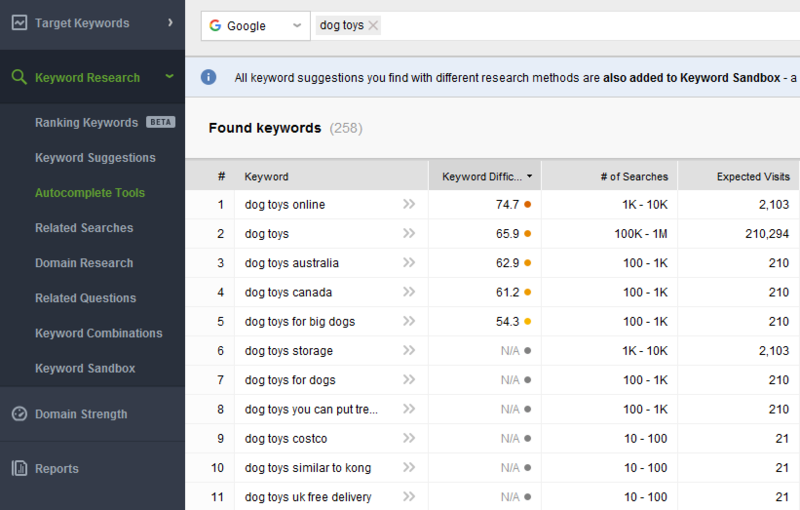 In addition to that, Keyword Planner limits the number of keyword suggestions. 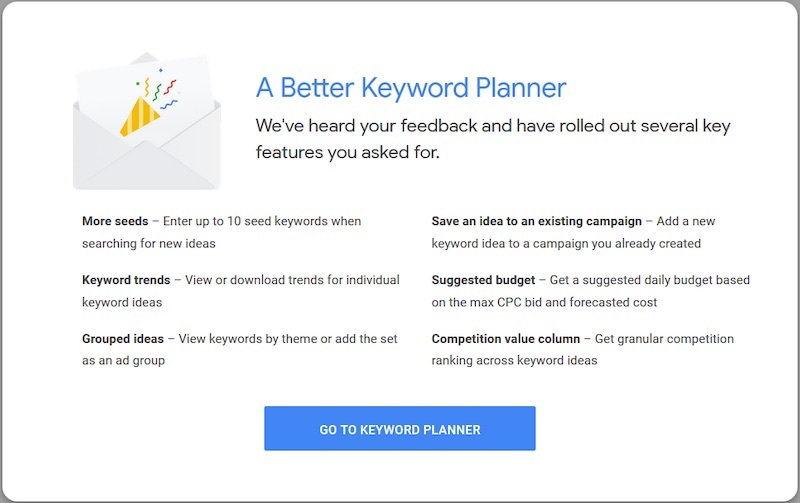 No matter how many different seed keywords you enter (you can type in up to 3 keywords), Keyword Planner won't return more than 2,000 keywords, while other keyword tools can pull out ten times more due to the fact that they use more databases to get keywords from. The third tool on our list that is also nice to have in your SEO arsenal is Google Search Console. It's one of the best options for marketers who don't want to invest in paid keyword research tools. First and foremost, it's a great source of keywords that are truly being searched and clicked on. The thing many users like about the tool is its Performance Report, which is a list of your pages that received the most clicks from Google and the exact search queries that caused them. Each and every query will be accompanied by impressions, CTR, and average position metrics. Once you've accessed all the keyword data, it can be comfortably filtered by dates, pages, or devices. 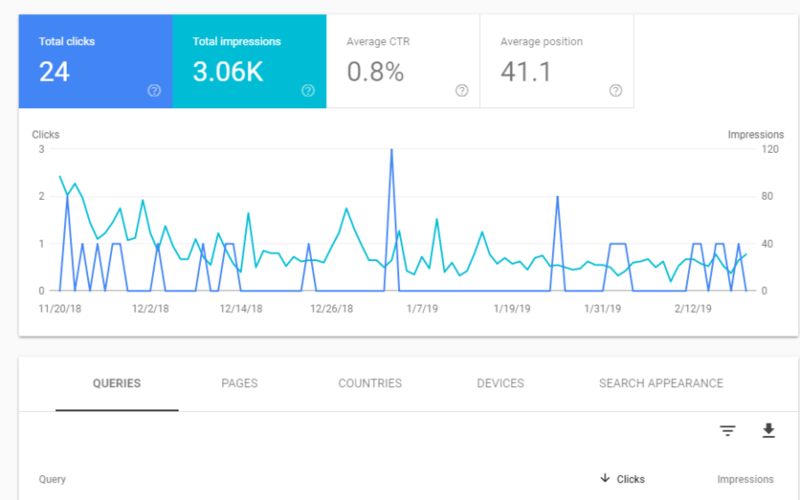 However, the tool might not suit those who want to see precise numbers because Search Console limits and rounds off the stats it displays to users. However, if you want to access some more in-depth and precise keyword data, combining Google Search Console with Google Analytics is a very nice way out. 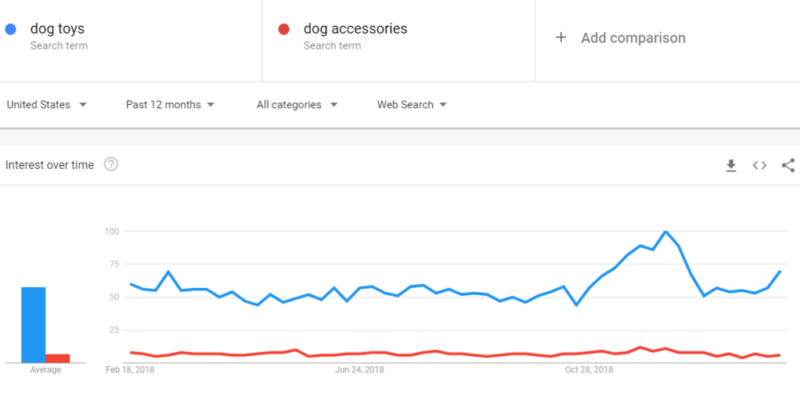 Google Trends is not a traditional keyword research tool, but that doesn't mean it should be overlooked. In a nutshell, the tool shows the popularity of a given search query, which is the ratio of a query's search volume to the sum of the search volumes of all possible queries. Popularity score ranges from 0 to 100, with 100 points going to the most popular keywords. In addition to comparing keywords by popularity, you can also see what search queries are on the rise and identify the top keywords for your business. There's also an opportunity to analyze the popularity of this or that search query in a certain geographical area. You can use this information for estimating seasonality for your industry and tweaking and refining your marketing strategy. It should be also mentioned that Trends can display data for popular terms only, which can be a problem if you're willing to see search trends for very narrow and specific queries. And of course, the tool lags behind a little bit in terms of metrics for keyword analysis – mainly because it wasn't designed with SEO in mind. All in all, Google Trends is a very nice and truly feature-rich tool for keyword research. Although it's not the best one to be used on its own, it's still a cool addition to all the above-mentioned keyword finders. 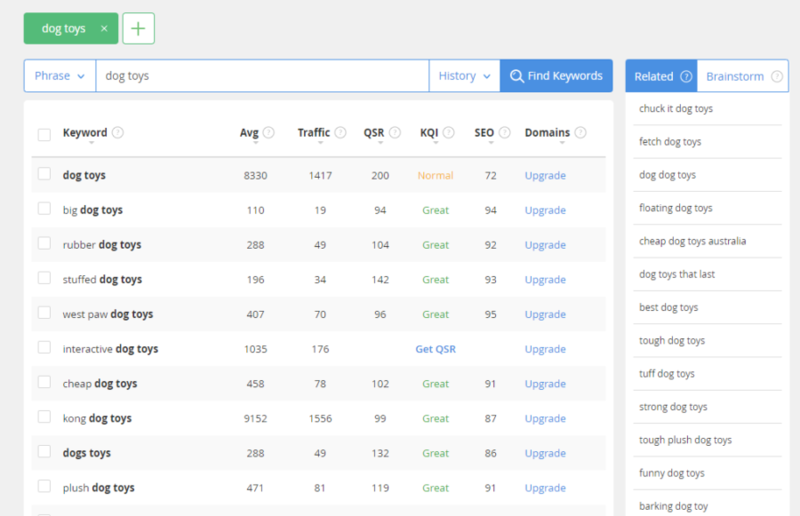 There's a number of SEO metrics on every keyword that the tool generates for you, including Quoted Search Result (QSR), which shows you how many other websites try to rank for a certain search query at the moment. Another parameter worth paying attention to is the SEO metric that estimates the likelihood of ranking on the first page for a particular keyword based on traffic and competition. However, Jaaxy is still a very nice keyword research tool to have in your arsenal – especially if you're making your first SEO steps. And it's absolutely great that the most powerful tools in the industry don't require a dollar spent on them or have a free version available. Therefore, I encourage you to try as many as possible and choose the ones that are best for your goals and business.